The Artemis BJJ women’s class has been running since July, completely free. One of the most regular students has been Tracey, who has shown real improvement over the months she has been training. 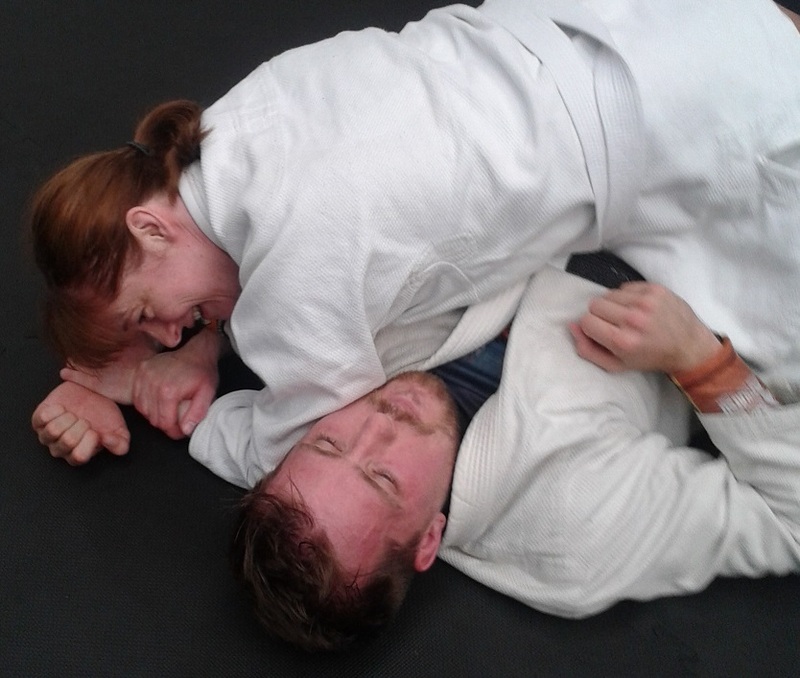 She was also the first student from the women’s class to cross over into mixed training: she and her son are now both stalwarts of the Saturday open mat too! Leading up to the launch of the 2015 women’s class, Tracey kindly shared her thoughts on what the women’s class and BJJ has meant to her so far. If you’d like to find out more about the women’s class, head here. I first came across Brazilian jiu jitsu a few years ago when I went to watch a friend taking part in a GrappleThon Can had organised. The event was to raise money for a UK charity, RapeCrisis. The friendly and fun atmosphere, along with the fact that there were a lot of guys raising money as well as women, made a strong impression on me. If it excites you and scares the crap out of you at the same time, it probably means you should do it. I’ve been going to the classes for a couple of months now. 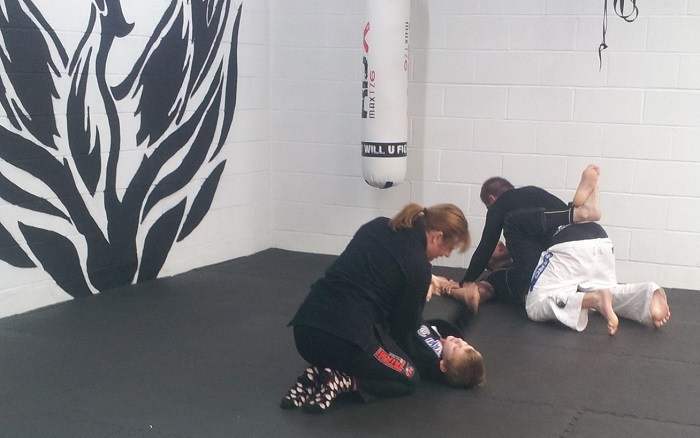 I also go to open mat sessions and take my son along. Learning new moves and sparring with different people is great. It’s fun, absorbing and quite addictive! I’ve made some new friends and my confidence is improving. Muscles ache now that I never knew existed, so I’m hoping for some more Radox for Christmas!! The free trial period for the women’s class is coming to an end: from January 2015, the women’s BJJ class will be included within the standard rates (your first week will still be free, of course).